On March 22, 2019, Debemur Morti Productions will release "Gods Without Name", the debut album of Aoratos — dark ambient, black metal, drone project formed by Akhlys’ founder and vocalist Naas Alcameth. 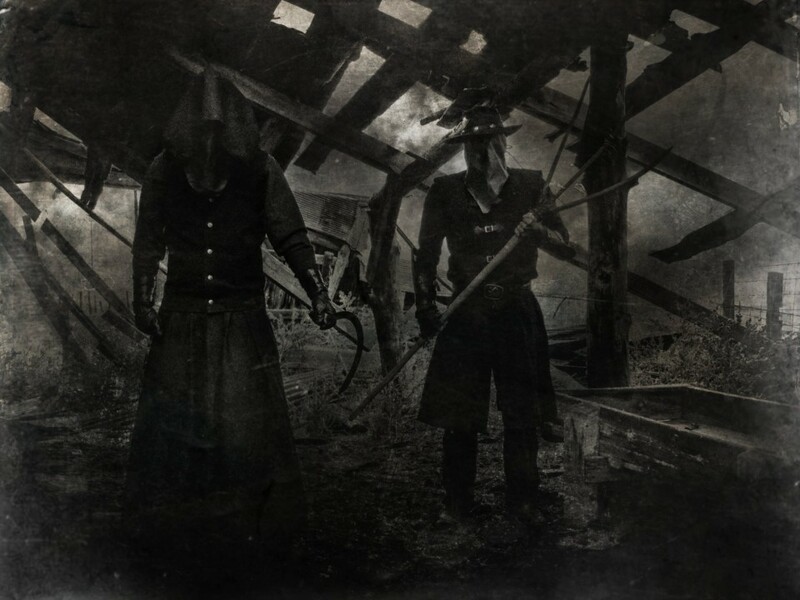 Ahead of the release, Noizr Zine is glad to share "Gods Without Name" exclusive full album stream (you can find it below) and a short interview with Aoratos’ mastermind. Alcameth, you are a solo and main composer of several bands, such as Akhlys, Bestia Arcana, Excommunion, and Nightbringer. Why did you decide to create another project, Aoratos, and what goals, creative ideas do you plan to implement with it? What prevented you from implementing these ideas with above-mentioned projects? Alchameth: There are several reasons really. Excommunion is a dead project but as for the others, they all have very different approaches in both content and composition. I suppose I could just pour all of these ideas and stylistic divergences into a single band but that feels quite haphazard to me really. I think that people who say that Nightbringer sounds the same as Akhlys, for example, aren't really listening very closely and have definitely ignored the subject matter that drives it all. The individual "spirit" that arises from each project is enough justification for it to have it's own identity really and this in not something unheard of in black metal, yet quite the opposite, you could say it is even a tradition. "Aoratos" is a Greek word meaning "unseen", "invisible". What sense did you put into it, choosing it as the name for the band? Alchameth: The term is being used in its original context here and is appropriate in regard to the band as the subject matter that is at the heart of Aoratos deals with the subtle realm and entities that manifest from the liminal, intelligence that are not of the physical order and thus "unseen". The debut live performances of both of your projects Aoratos and Akhlys will take place at the Ascension Festival in Iceland. A few years ago, you said that Akhlys "very unlikely" will perform live — what has changed since then and why did you pick Ascension Festival as a starting concert stage for both groups? Alchameth: Previously I had wished to keep Akhlys as a studio project only mostly due to logistical issues around pulling a live lineup together that would not require across state or even international travel for rehearsals. Colorado is not a very ideal place in regards to finding like-minded individuals who can fill these roles. However unlikely, it so happened that this did indeed pan out in the end. Ascension festival will without a doubt be a very unique experience, given the location and time of year, so it seemed a very fitting way to debut these bands live. According to a press release, "expanding far beyond the themes and sounds within Akhlys, "Gods Without Name" probes ever further into the darkness found beyond the boundaries of the profane and waking world of man". Lyrics by Naas Alcameth, music by Naas Alcameth and Aoratos. "Gods Without Name" cover art and layout by Bahrull Marta from Abomination Imagery. Recorded at Promethean Forge Studios by Aoratos, mixed and mastered by Dave Otero at Flatline Audio in the Rocky Mountains, the album features 9 terrifying and occult tracks. "Gods Without Name" will be released on March 22nd worldwide, on Digipack CD, Gatefold 12" LP, Special Edition Gatefold 12" LP and it can be pre-ordered from DMP European webshop, North American webshop, and Bandcamp. Follow Aoratos and Debemur Morti Productions on Facebook.